My nephew Sam left his job at the prestigious automaker [Jaguar] to join a small startup in London called Beeline. All I can say about making such a seemingly risky move is that he must have really believed in the idea. Developed as a navigation tool for urban cyclists in London, the super-simple device displays an arrow pointing to the direction of your destination. Think of it as a compass where the user gets to define what is ‘north’. This is especially useful in London because the maze of medieval streets and alleys don’t follow a grid and don’t always conform favorably to turn-by-turn GPS solutions. Once I learned about the product I was immediately elated. No, I don’t live in a big city and drive to work every day in my car so what on earth would I do with one of these? Well it just so happens there is another place where traditional GPS isn’t helpful, and I’ve been lost there – more times than I care to admit! 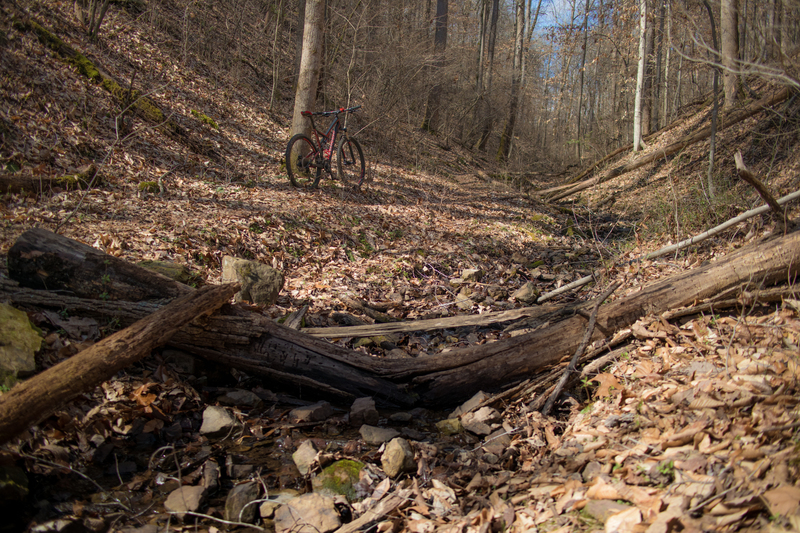 That place is the spiderweb of single-track mountain bike trails all over east Tennessee! An arrow? a beautiful fluid, fantastic, liquid-crystal arrow? Pointing to where I parked my car at the trailhead? Simple! Perfect! Yes! Just what I needed! 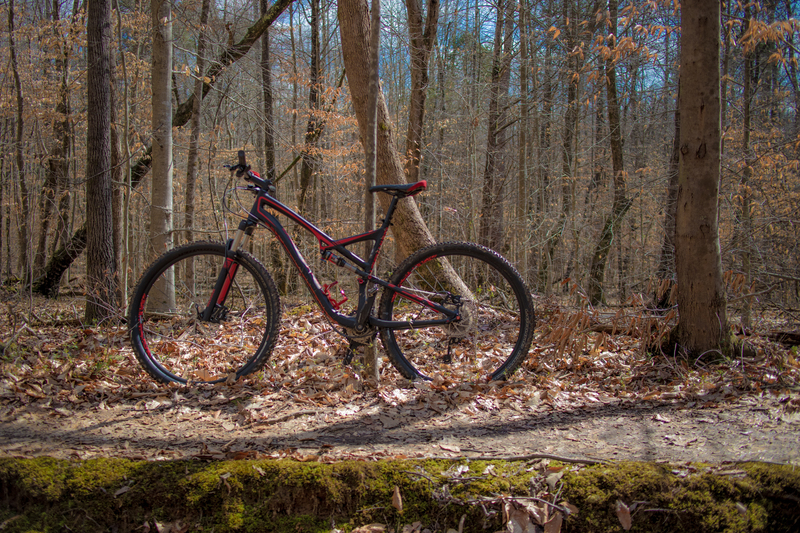 I have been out with it twice now and it has taken the anxiety out of my ride. No more staring at google maps seeing a dot in the middle of nowhere. No more maps trying to figure out where I am on it. Just an arrow pointing me back once I’ve had enough. There is one caveat though – and it is right in the product’s name. I’ve found the arrow can point out into the lake or across a ravine (literally a beeline to your destination), making it tricky to figure out which way to go. The way around the problem is to set weigh-points when you stop for a break and a drink of water. Kind of like dropping breadcrumbs you can navigate from one to the next to get back. 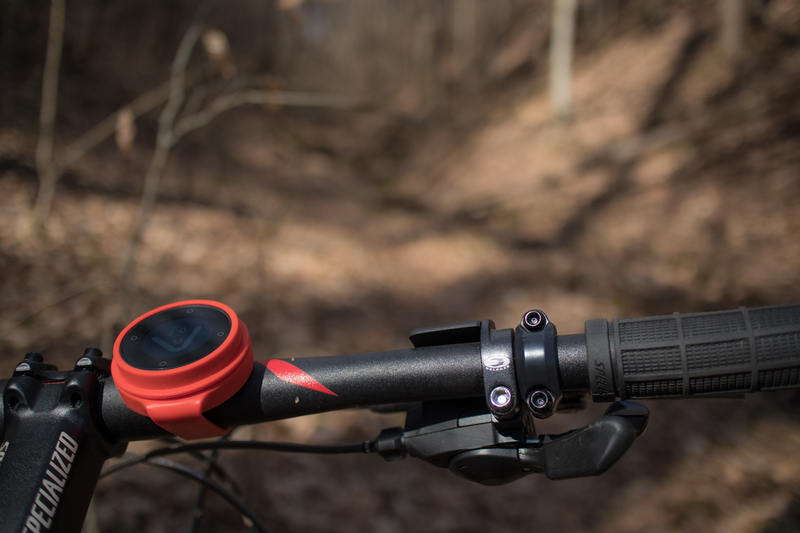 If you love to mountain bike, get yourself a beeline! After spending years living near the Great Smoky Mountains it has become one of my favorite spots in the world. One of the oldest mountain ranges on earth, they continue to move and inspire me more and more with every visit. From the charming old valley of Cades Cove with its 18th century homes and churches, to the towering peaks of Mount LeConte and Clingmans dome. A stop on the appalachian trail, the park boasts some of the best hiking and backpacking in the eastern United States. The Smokies are home to more varieties of flora and fauna that anywhere else in the country and the mountains boast some of the nation’s only surviving old-growth forests. I hope you will plan a visit soon – in the meantime, check out my gallery here. Being a corporate in-house Graphic Designer and Photographer can often throw some unexpected fun your way. Yesterday, I was asked to take photos for the Halloween costume contest. So much color, so much personality, so much laughter. I welcome a distraction like this to allow me to recharge and express my creativity with something different – if only for a couple of hours. These are but a fraction of the awesome employees who participated, but I would like to thank everyone involved for making it such a great day. I recently purchased a new Macro Lens and had an excellent opportunity to test it out when I noticed a swarm of bees on wildflowers in the back yard. I’ve always had an interest in macro photography and I’m happy my first attempt garnered some good results. Capt. Jeff Kuss can be seen in this photo – far left, No. 6.